Are you ready for another video? I stayed up late last night recording this video review of Instant Blog Subscribers which is the new free blogging site that was recently launched by Walt Bayliss. Unfortunately it was about 4:00 am by the time I finished recording the video and I forgot to mention a few things. 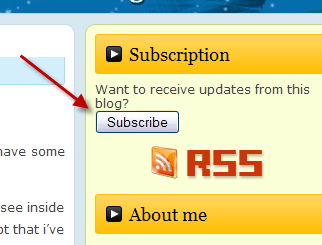 One of the things I forgot to mention is the ability for people to subscribe to your blog with one-click. That button will appear at the top of your blog. When someone clicks the button they will automatically be subscribed to your blog and they will be notified via email every time you post a new update. That’s very cool. I also wanted to talk a little more about what you can do with your blog. Basically you can use your blog to share almost anything you want. For example right now I am sharing my website reviews but you can also post articles you’ve written, share something you learned, rave about something you love, or rant about something you hate. As you saw in the video some people are even using their blogs as a place to post their ads. There are really very few limitations for what you can do with your blog. Finally, I don’t know if the video came off as a review as much as just a walk through of the main features on the site. In case I forgot to say it, I really really like Instant Blog Subscribers! It’s sort of the first of what I expect to be many sites that are taking elements of safelist marketing and making them more social. I think IBS can do more to expand on some of these features such as making comments easier to manage and providing more stats but at this point the site is still really brand new. I expect to see more developments in the near future. By the way, in the video you may have noticed that I reposted my review of the site List Zillion which also appears on this blog. That was less than 9 hours ago. Since then I have received 5 new sign-ups at List Zillion all of which came from my post at Instant Blog Subscribers. That’s crazy! So head over to Instant Blog Subscribers and create your free blog right now. You don’t need to be a professional blogger to take advantage of this one. Every post you make will instantly be shared with 200 other members. There is no better time to start blogging than today. Would you believe this blog is almost 2 years old? I do find that hard to believe. I thought for sure I would get bored and forget about it after the first 3 months. But sure enough, I checked the archives over on the right side of the screen and it says my first post was July 2008. I thought it was interesting that in all of my years of blogging (ok, next month I can officially say “years”) I haven’t really written anything for other bloggers to help them get started with their own blogs. I guess it’s because I still don’t consider myself a real “blogger” but after 2 years and lots of positive feedback I guess I must be doing something right. A few days ago someone emailed me looking for help setting up a new blog. They bought a domain, installed WordPress, and picked out a theme. Now the adventure begins as they try to figure out what to with their blog. I thought I would share some of the suggestions I am making to him by posting them here on my blog so everyone can benefit from them. Akismet – Essential spam blocker. Akismet checks your comments against the Akismet web service to see if they look like spam or not. All in One Adsense and YPN – Inserts Adsense or YPN code in to your blog posts. All in One SEO Pack – Out-of-the-box SEO for your WordPress blog. RSS Power Plus – This plugin will, when a new post is published, submit the rss feed for this post only (not the entire domains feed) to the configured RSS Aggregators websites, including where applicable the tags used in the post. SEO Friendly Images – Automatically adds alt and title attributes to all your images. Improves traffic from search results and makes them W3C/xHTML valid as well. ShareThis – Let your visitors share a post/page with others. 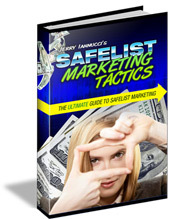 Supports e-mail and posting to social bookmarking sites. Smart 404 – Rescue your viewers from site errors! When content cannot be found, Smart 404 will use the current URL to attempt to find matching content, and redirect to it automatically. Smart 404 also supplies template tags which provide a list of suggestions, for use on a 404.php template page if matching content can’t be immediately discovered. Sociable – Automatically add links on your posts, pages and RSS feed to your favorite social bookmarking sites. TweetMyBlog! – Updates your twitter account with each new post to your blog. Tweet This – Adds a “Tweet This Post” link to every post and page. Shortens URLs. Can automatically tweet new and scheduled blog posts. Highly customizable. Ultimate Google Analytics – Enable Google Analytics on your blog. Has options to also track external links, mailto links and links to downloads on your own site. WordPress Plugin Alternatives – Tracks views, post/page views, referrers, and clicks. WP Auto Tagger – Automatically finds tags based on your post content. Got any other suggestions? Feel free to post them in the comments. When I first started blogging I didn’t know how to properly optimize my wordpress blog for search engines. I would usually just use the default setup and start writing without doing any kind of optimization. Of course my blogs never got the traffic I wanted and I always wondered why. I used to Google some popular blogs and I could never figure out how they were getting so much traffic. I really wanted to know the secret for getting ranked high up in the search engines. It took me awhile but I finally figured out that my blogs were not optimized anywhere close to how well some of those high traffic blogs were. They seemed to have a more complex linking structure, proper meta-tags, and many more pages for Google to index. I wanted to be able to create a quality blog that would generate quality traffic to all of my sites so I could start making more money. I started doing the research and experimented with quite a few WordPress plug-ins, designs, and special coding. Eventually my blog started getting more traffic and I am now starting to make money from my blog every month. I think I finally cracked the WordPress code as I am now getting listed at the top of the search engines and I am getting the traffic I want. I figured out how to build my blog in a way that Google would index me much faster and my posts would start showing up shortly after I posted them. 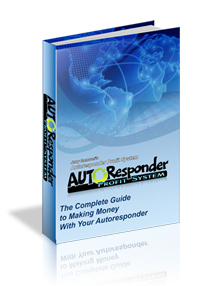 Since I have started doing this my traffic has gone up and my affiliate products have started producing more sales.